The Graduate Certificate in Steiner Education is a four course specialisation program at the University of the Sunshine Coast. These courses have been designed for teachers new to Steiner education and experienced teachers who want to explore Steiner education at a deeper level through an accredited pathway. Early childhood teachers, primary and high schools are invited to enrol as well as anyone interested in furthering their understanding of Steiner education who has completed a four year equivalent education degree. You will love this program if you are currently a qualified primary or secondary teacher wanting to expand your career opportunities in Steiner/Waldorf schools in Australia and overseas. 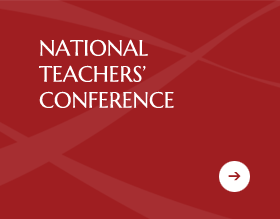 You will study within a collaborative environment with other like-minded educators. You will work with experts in Steiner Education to connect theory with practice. 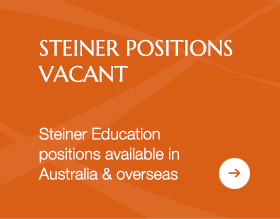 You will develop expertise in Steiner education associated with contemporary issues, pedagogy, curriculum development and assessment. 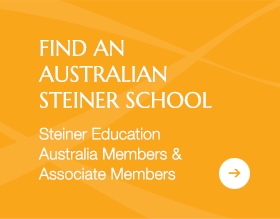 The Graduate Certificate in Steiner Education comprises four specialist courses offered in a blended learning format. The courses are delivered wholly online, except for a compulsory two-day intensive weekend component for each course. Weekly lectures are delivered via Mediasite and can be viewed at your convenience; an engaging, real-time once-weekly class takes place via the Learning Management System, making study accessible from anywhere. Face-to-face meetings are available for local students. The four courses (over one year full-time or two years part-time) can be completed in any order with the option to enter the program in either Semester 1 or 2. Upon successful completion of the four Steiner Education courses, you receive a Graduate Certificate in Steiner Education, or can continue with your studies to complete a Master of Education with a specialisation in Steiner Education. If you wish to meet the requirements to proceed at a later stage to the Doctor of Philosophy program, you should complete the Education Research Specialisation within the Master of Education. The Graduate Certificate in Steiner Education is a post-graduate education program. It does not qualify graduates for teacher registration, but provides innovative knowledge in education to advance your career in Steiner early childhood, primary and secondary teaching. Please note that following admission procedures to the university, once a student accepts their offer, they must then follow up the offer by enrolling in the course.